I discovered A Pattern Language several years ago, and immediately resonated with its message that design speaks to our psyches, in and out of the garden – that some spaces can feel welcoming and relaxed, while others are awe-inspiring, imposing or just plain uncomfortable. Think of how you feel approaching a home with a cozy porch with a swing on it vs. one with a big two-story entry flanked with tall urns. Each location speaks to the status and attitude of the folks behind the door. The authors, all architects or urban planners, note that people feel extremely comfortable in older towns — specifically those built in the Middle Ages. These old towns followed similar design principles, including the relationship between people and the street and ways to orient a home. They condensed these ideas to 257 rules, many of which speak to some very basic elements of human nature. Why do people like nooks and window seats, for example? Rule Nos. 179 and 180: Alcoves and window seats. Why do we feel more vibrant in rooms with windows on more than one wall? Rule No. 159: Light on two sides. Why have basement bedrooms for teenagers become so popular? Rule No. 154: A teenager’s cottage. 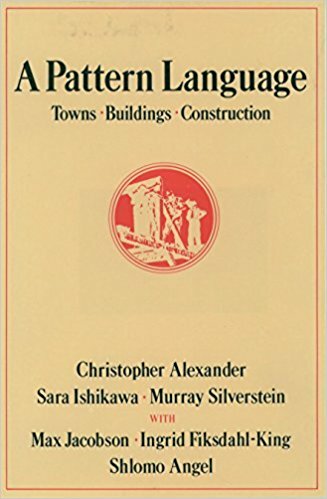 If you are considering building a house, read this book first. You probably won’t want to follow all the rules — the authors are against most bedrooms — but it will alert you to some typical problems with newer home design. Several of the rules relate to the connection between the house, the garden and the street. People enjoy front porches because they provide a way to see the street, to interact with your neighbors, while still remaining close to your home and protected. (Rule No. 140). The authors advocate more gardens on the sides of homes (what they call a “half-hidden garden,” which creates a site that is both open to interaction with neighbors, but not too exposed. (Rule No. 111) Roof gardens (Rule No. 118), outdoor rooms (Rule No. 163), the value of terraces (Rule No. 169), fruit trees (Rule No. 170), the merits of raised flower beds (Rule No. 245) and climbing plants (Rule No. 246) are all addressed succinctly and well. Each section of the book is just a page or two long and includes an image or drawing, a discussion of how the rule relates to other patterns, a longer discussion of the rule itself and a brief summary of its key points. Here, for example, is the summary of Rule No. 177, Vegetable Gardens: In a healthy town every family can grow vegetables for itself. The time is past to think of this as a hobby for enthusiasts; it is a fundamental part of life. A Pattern Language is a book filled with sense and human warmth, well worth reading whether you are designing a home, an outbuilding or a garden. Hmmm. It’s fascinating to learn why we react and how we react to certains settings. Thanks for the recommendation! I’ll be hunting down the book for my New Year ‘books to browse’ list.